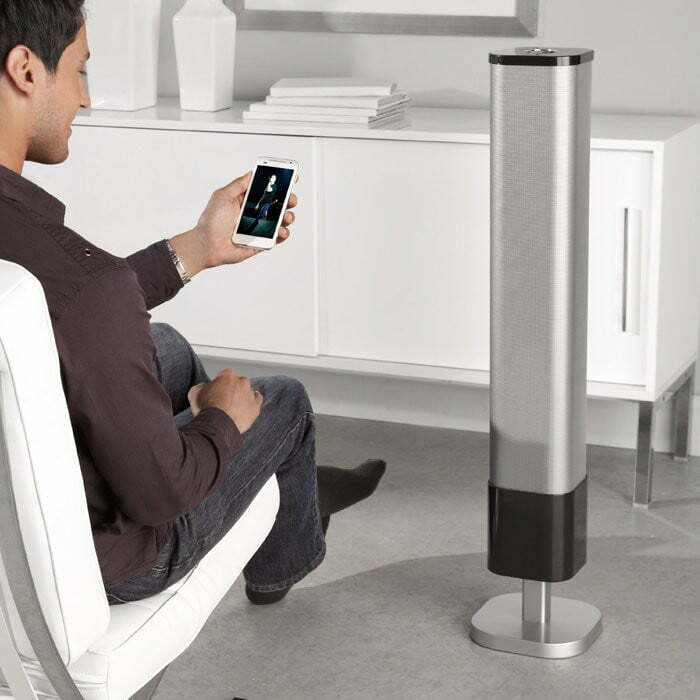 Brookstone recently introduced its new Big Blue Media Tower, the third entry in a line of Bluetooth-enabled speakers. 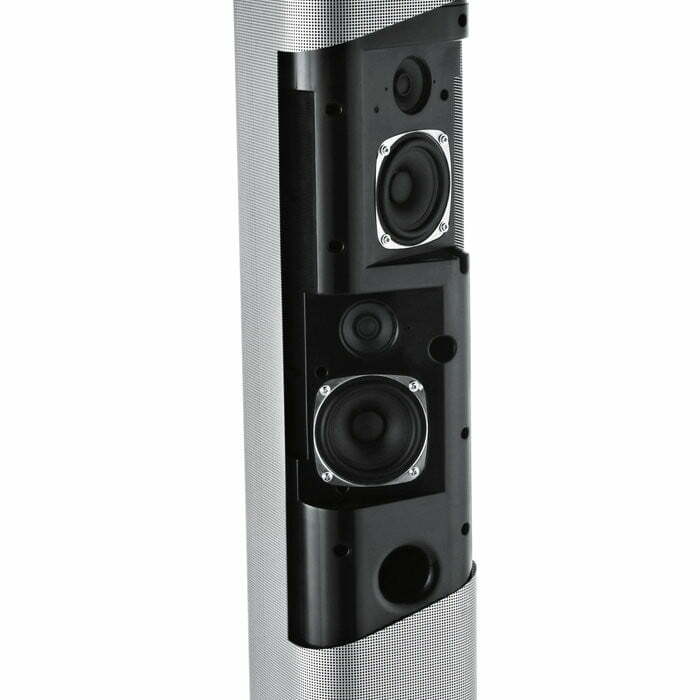 It’s described as a 38-inch tall vertical sound bar and supports streaming from phones, tablets, computers, and any other Bluetooth devices you might possess. Despite its focus on wireless technology, however, the Big Blue includes a analog audio inputs, an auxiliary output jack and a digital optical audio input. Brookstone has even tossed in a six-foot optical cable as well. The new kid on Brookstone’s block features dual 1.5-inch tweeters and 3-inch mid-range drivers. The tower also houses a ported, 30-watt powered subwoofer. 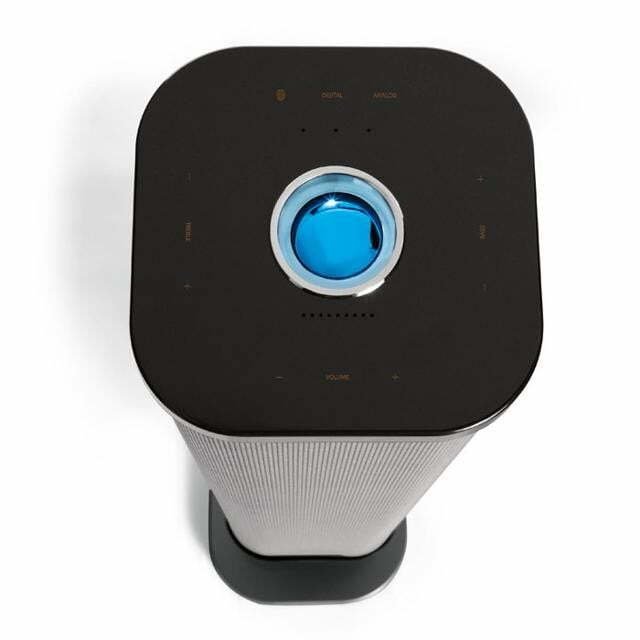 Brookstone has designed Big Blue’s speakers so that they are aimed at different angles, a move which is said to produce an omnipresent sound. We saw speaker orientation make a difference with Boston Acoustics’ MC200air, and if the tower can produce a similarly immersive sound, we’d be excited to check it out.